Are you looking for an easy and affordable way to commute or are you now ready to take your bike racing career to another level? Or are you simply looking for a convenient way to move around town? You can get all that in this Pure Cycles’ 16-Speed bike. This road bike is created to offer unbeatable comfort and give you a speed edge when you are competing. It features top quality parts and a collection of classic components with a bold signature from Pure Cycles. 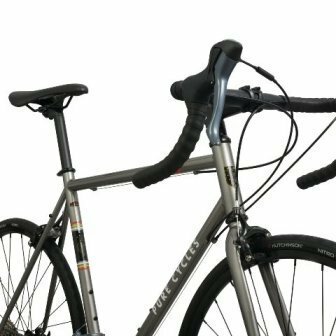 If you have been finding it hard to make the correct decision for a road bike, it will no longer be the case after you go through our pure cycles review. In here, we will take you through the talking points of this 16-speed road bike with a keen interest on the benefits accruing to the rider. We will also give you a brief highlight of the key features, pros, cons, answer some commonly asked questions, and end with our overall verdict about this Pure Cycles 16-speed machine. Let’s get started right from the top. 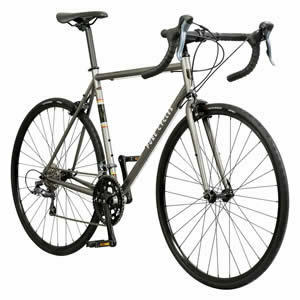 This Pure Cycles Classic Road Bike is designed to deliver comfort and functionality to the end consumer. We took our time to go through every aspect of this bike; testing and analyzing every feature. We can now, with authority, say this is among the best road bikes to hit the market in 2019. The Shimano Claris drivetrain is extremely easy to operate. The gear lever is strategically positioned right at your fingertips to make it piece of cake easy to use when necessary. Its accuracy does not miss by a fraction of an inch and that is a blessing you need in racing. You will also be happy to know that the gear shifting process is easy and does not need any extra effort. You no longer have to be afraid of uphill terrains because in this bike you have all it takes to dare and get over such situations. Whatever we call a bike largely revolves around its frame and fork. When the two are great, you sure have an equally great bike. In this Pure Cycles Classic Road bike you are not getting any other kind of frame and fork; it is full 4130 grade of Chromoly steel. Are you wondering why this should be a big deal? 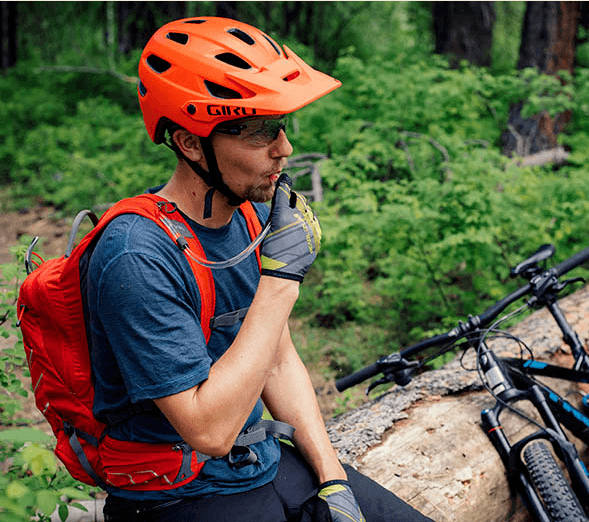 It means yours is a lightweight bike that you can easily throw on your back when faced with tricky riding trails and you will not complain of fatigue. The Chromoly steel frame also means you have a sturdy bike that can take up massive weight and still cruise at top speed. Another great thing about the frame is that you can easily upgrade or customize it to suit your particular needs. You can easily add a rack, pannier, fender or whatever you need to turn your bike into your dream commuting or shopping tool. You will agree with me that comfort is a crucial aspect of any kind of bike. You need a bike that you can ride for hours through rough roads and still not complain about the back, neck or any other type of pain. This Pure Classic 16-speed road machine takes care of your comfort like you are a king. The butted seat tube directs comfort to your hip and lower back region. It also gives room to the frame to flex when riding on uneven roads. It does not matter how rough the road gets; it will all be a smooth ride for the entire journey. Once you set your eyes on this road bike, you cannot help it but notice the classically curved bars. And while they add some aesthetic value to your bike, that is not the main reason for their inclusion. They help position your upper body frame onto the bike making sure your shoulders and neck are not in any way strained. You can ride all day long but you will never have to deal with the demon of back, neck and shoulder pain. The dropping bars also help to evenly share your weight between the front and rear wheels. With such a balance, it becomes extremely easy to handle your bike even during an emergency. You are not only comfortably perched when on this bike but you also have full control and you do not use much effort for it. If you are like me, an all-season road bike enthusiast, you make certain to get the right tires on your bike. You want to be able to ride under any weather elements every month of the year; therefore, you deserve nothing less. 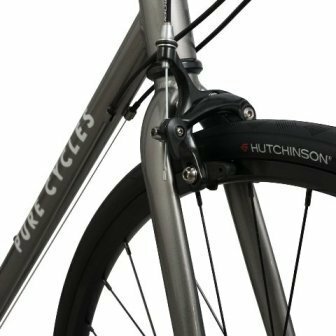 Pure Cycles has made sure that you can hit the road from January to December with this magnificent 16-speed road beast thanks to the Hutchinson’s Nitro II tires. They come with all-weather treading to assure you a riding guarantee come rain come shine. Even when the road is wet and slippery, these tires will hold up steady. Your safety is never under any threat since you have better control of your bike at all times. The alloy rims are 17mm deep and that is music to the ears of those who might be a little bit on the heavy side. The rim is strong enough to support your extra weight and not in any way impair the functioning of your bike. The rim also enjoys support from the rigid stainless steel set of spokes. Roads are not always safe and you may more than once need to make emergency stops. On that end, this road bike over delivers. It comes with front and rear alloy caliper brakes. When you need to stop, you will not move an inch because this set of brakes does an effective job. Q: What is the wheel size on this bike? A: It comes with a wheel size of 700c. Q: What is the maximum weight this bike can support? A: Our recommended maximum weight for this bike is 250lbs. Q: I’m a lady who is a road biking enthusiast. I wanted to know if this bike is gender-specific. Is it good for a woman? A: Fortunately, Pure Cycles does not make gender-specific road bikes. This 16-speed bike is great for both men and women. Q: I already bought this bike. It’s a great piece. However, I would like to adjust the seat height because it feels a bit low for me. What tool do I need to get it done? A: Get a 5mm Hex wrench and your job will be very easy. Q: Does this bike come with a kickstand? A: No, it doesn’t come with a kickstand and we do not recommend one for it. Are you ready to spice up your road biking experience? If yes then what you need is a bike that promises nothing but pure comfort and unmatched functionality. 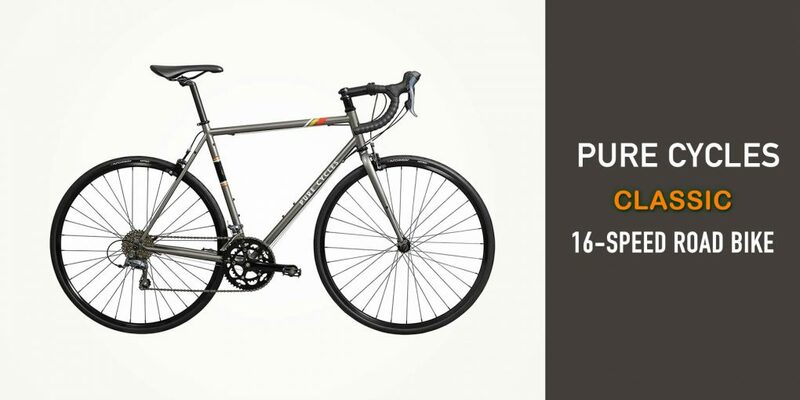 And nothing fits that exact description more than Pure Cycles 16-speed road bike. It is fast, sturdy and won’t knock you off your financial balance. Get one today and change the way to race, move around or go for shopping. Take this from me, this is a decision you will never regret.